" ‘Brought to Jesus’: the evangelical grip on the Trump administration "
And no wonder, for even Satan disguises himself as an angel of light. 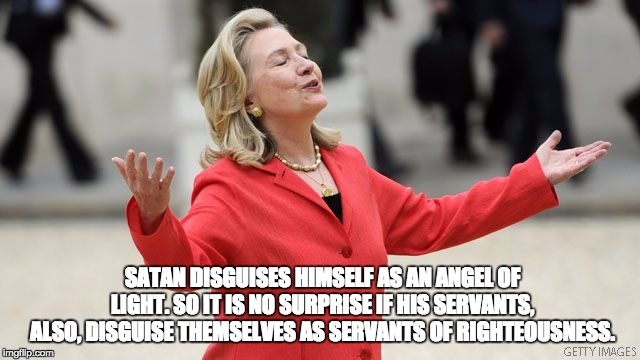 So it is no surprise if his servants, also, disguise themselves as servants of righteousness. Their end will correspond to their deeds. "Thank you Jesus, thank you Lord." First thing I thought of!